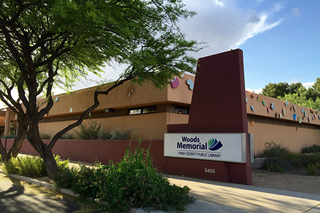 Woods Memorial Library will be closed April 17 through May 5 for new carpeting. Holds not picked up by April 16 will be held for one week after re-opening. Items cannot be picked up at this location while the Library is closed. Items with due dates that fall within the closure will also be extended one week after re-opening. The return book chute will remain open. Map for Woods Memorial Library. April 8, 2019 Give us your input on the Library's future!